I recently learned about the Stampin' Celebration Challenge blog from my friend Holly and I'm glad I checked in on it tonight because their sketch challenge closes in a day. For some reason I thought I had more time, ooops! The husband and 2 of our boys went out fishing for king salmon tonight so I put on some music and sat down to craft. The circle in the sketch was throwing me off and so I grabbed some scratch paper and just started playing around with various sketch sets. I wanted to do something patriotic but wasn't having much luck with the sets I was grabbing. Finally I grabbed Gorgeous Grunge, stamped the lined stamp in Real Red and then the smaller splatter stamp in Night of Navy. 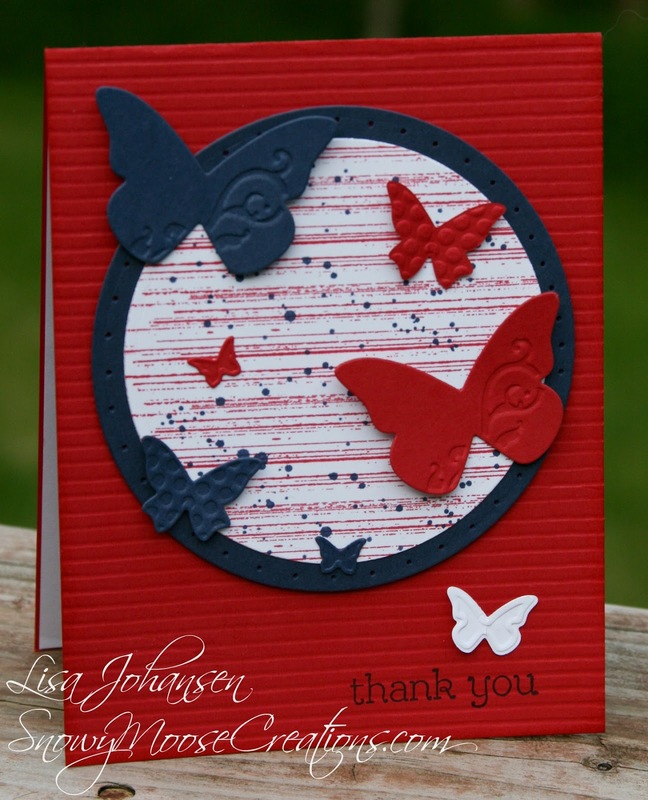 I used the Embosslits Beautiful Wings to cut out butterflies in Real Red, Night of Navy and Whisper White and placed them randomly on the circle. The sentiment is from Happy Watercolor and I added one Whisper White butterfly above it to finish the card off. The background was scored with the Simply Scored Tool to get some texture, the plain card stock just wasn't working for me. I'm glad I was able to get a card done in time! Head over to the Stampin' Celebration blog and check them out! Your card is so classy and beautiful Lisa! The way you tied it all together doesn't seem like you were "thrown off" anywhere along the line at all! Thanks for playing along at Stampin' Celebration! and hopefully you'll come back and play with us again! What a fun card! 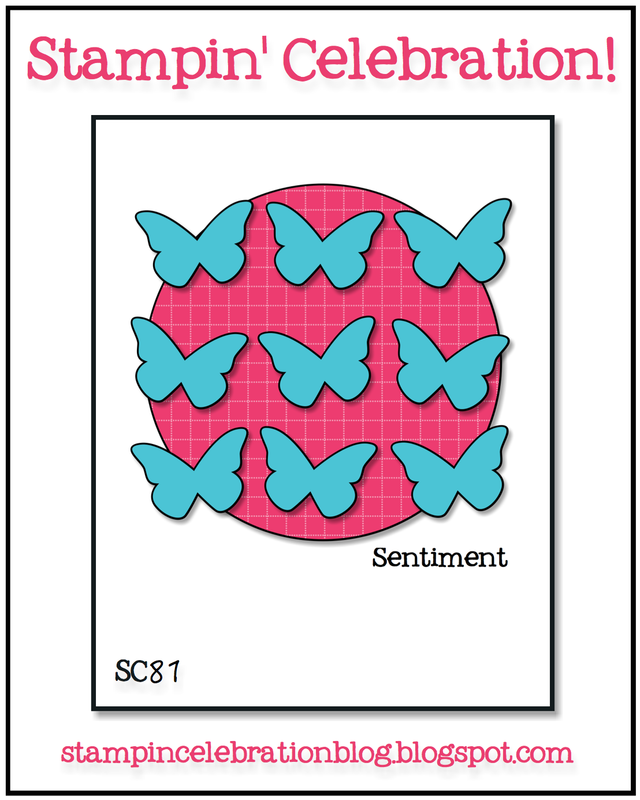 I love the stamps you used for the background circle and the way you scattered the butterflies! So glad you joined us this month at Stampin' Celebration! This is oh so pretty! I love the backdrop you have created in the circle using gorgeous grunge. I'm going to give it a try myself. Thank you for joining us at Stampin' Celebration! Nice cards. I love the butterfly embosslits and have used them on my wedding thank you cards but I sometimes need to see them in other colours to be inspired again!